First things first, this drive is TINY. Like, I wonder how long it’ll be before I lose it tiny. Below is a picture of it with a quarter next to it for comparison. How’s the performance of the Ultra Fit? It’s good. It’s not great, but it’s better than any of the other USB drives I have laying around. 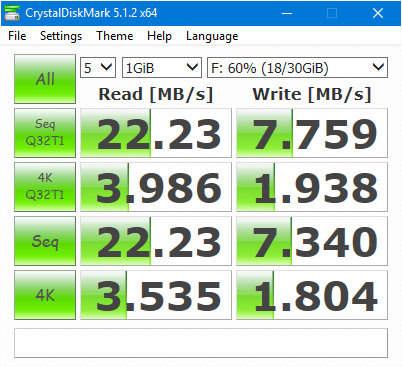 Connected to a USB 3 port on a brand new computer, the drive is getting around 41 MB/s read and 27 MB/s write speeds… See the DiskMark information below. 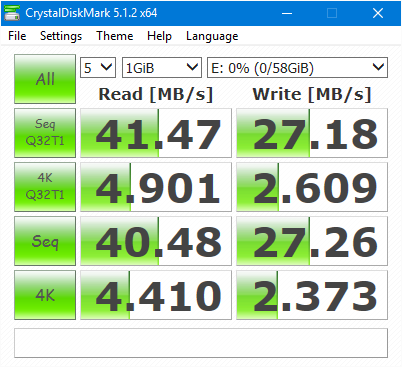 For comparison, I ran the same test, using the same port on my computer, on another non-USB 3.0 drive, and it pulled 22 MB/s read and 7 MB/s write. Again, you can see the DiskMark information below. 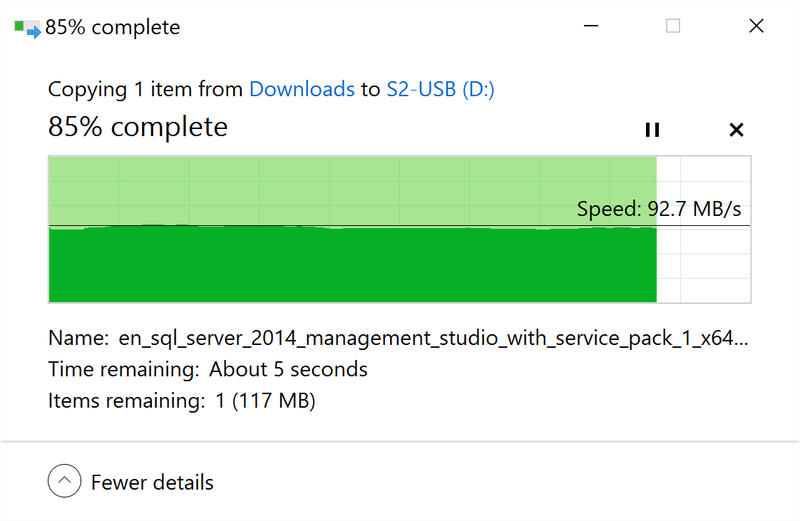 This is no 150 MB/s as advertised, but it is about 46% faster reading and 71% faster writing than my other USB drives. In some “real world” large file copy tests, I was able to get much better performance, around 93 MB/s. 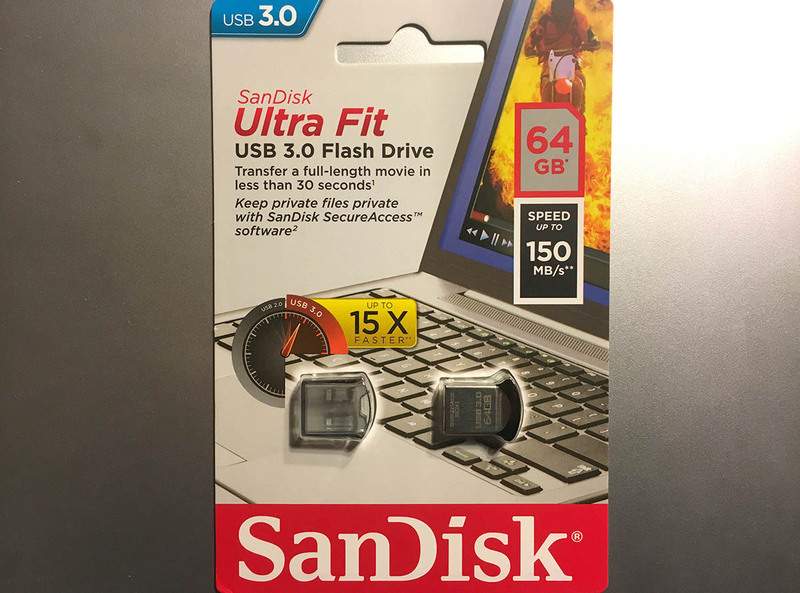 Given the right circumstances, I’m sure the drive is capable of getting close to the 150 MB/s mark, but don’t expect to get that level of performance right out of the gate. Another thing about the SanDisk Ultra Fit is it gets really warm. While plugged in, I’ve seen temps of around 98°F (36.6°C). In my book, that’s pretty warm for a USB drive. I don’t think it’ll have any short term effects on the drive, but over time, it could degrade the lifespan of the drive. Time will tell there. In the end, this is a pretty nice drive. 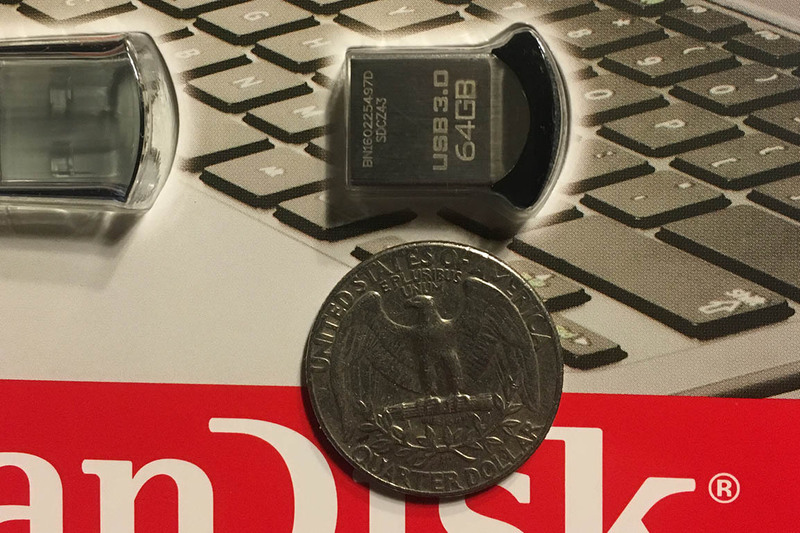 It’s fast, faster than any of my other portable USB drives, and easy to carry around. That being said, it’s almost so small, that I’m afraid that I’ll probably lose it… But hopefully not. So far it’s been a great little drive and i hope to get a lot of use out of it.